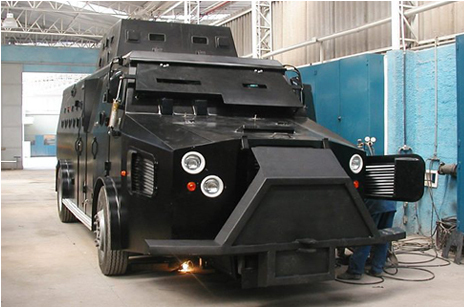 But it is actually one of the nine new bullet proof tanks purchased by the public security department of Rio de Janeiro. Each one of them has room for 20 officers, can bear a weight of 15 ton, and is air conditioned. Now if only they came in smaller sizes and other colors so that people in Rio could start driving around in them. Via O Globo Online. Yeah, cause riding such an ugly car would make Rio so much prettier, lol. It looks like a Hummer made for someone with an even greater inferiority complex.